One of the attributes that sets Lynnore apart from other attorneys, is the “real life” experience she had before becoming an attorney. A graduate of Miami University of Ohio, she worked in business for over 14 years, before attending law school. After going through a divorce, and being a single parent, Lynnore graduated from Temple University’s Beasley School of Law. While still in law school, she volunteered as a clerk for the Honorable John C. Uhler in the York County Court of Common Pleas, she interned with Temple Health System and she interned for Elan Pharmaceuticals. She began her career as an attorney at a large private practice firm based in Harrisburg, Pennsylvania before beginning her own practice. Lynnore is the current President of the Family Law Section of the York County Bar Association, where she was previously the Vice-President and Treasurer. She received the Pro Bono award from the York County Bar Association for several years and she is a member of the Arbitration panel. She is also a member of the Pennsylvania Bar Association, where she is currently a member of the Investigative Panel of the Judicial Evaluation committee and she is involved in the Women in the Law committee, and the Solo/Small Firm section. Her awards include being selected to the 2017 Pennsylvania Rising Stars list, an honor received by only 2.5% of the practicing attorneys in Pennsylvania, and she was chosen as a “Select Lawyer” in 2015, 2016 & 2017. Her presentations include: “5 Things You Need to Know About Pets in Divorce and Estate Planning” at the PBI Animal Law Conference, PBI’s Family Law “Custody Flipped Classroom”, “Equitable Distribution Case Law Updates” at the PBA Family Law Section meeting and “Drafting POAs: Essential Tools for the Elder Law Attorney’s Toolbox” for the PBI’s Annual Estate & Elder Law Symposium. 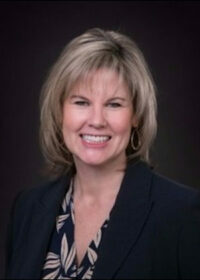 She also makes presentations in the York County community related to divorce and estate planning. In addition to practicing law, Lynnore enjoys giving back to the community. She’s served on the Board of Directors of York Habitat for Humanity, she is a big sister for Distinguished Young Women of York County, she is a foster and volunteer for Operation Dogs for Homes, and she also supports the various downtown York initiatives, including Creative York, Downtown Inc and Belmont Theater. In her free time, she enjoys spending time with her husband and their blended family, which includes their 3 sons.